We attached a strobe light to the top. It strobes when the TNC transmits a data packet. 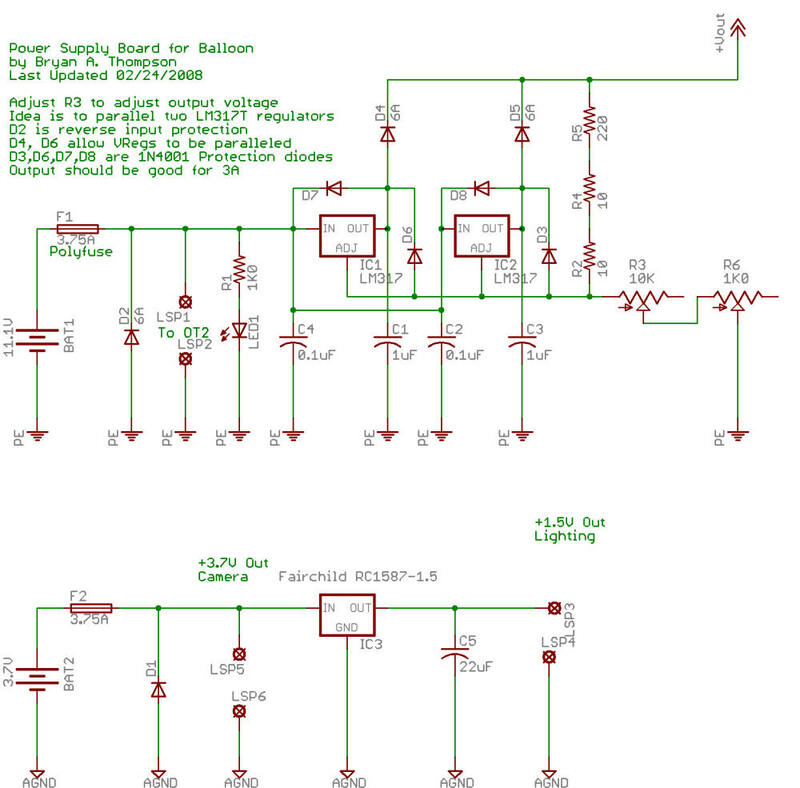 The design for the power supply is to have two batteries. The first is an 11.1V / 5000mAH Lithium Ion pack that powers the OpenTracker2 and radio. The second is a 3.7V / 7200mAH Lithium Ion pack that powers the camera and strobe. The idea behind this is that I don't want the camera to kill the transmitter functionality if it takes a while to get to the site. We want the transmitter operational when we get to the site to allow DF possibilities. The voltage regulator below provides overcurrent protection on the batteries and provides the +12V for the OT2, +7V for the radio, +3.7V for the camera and +1.5V for the strobe. LED1 was removed for energy savings purposes. Click Here for info about the shutter release mod we used. 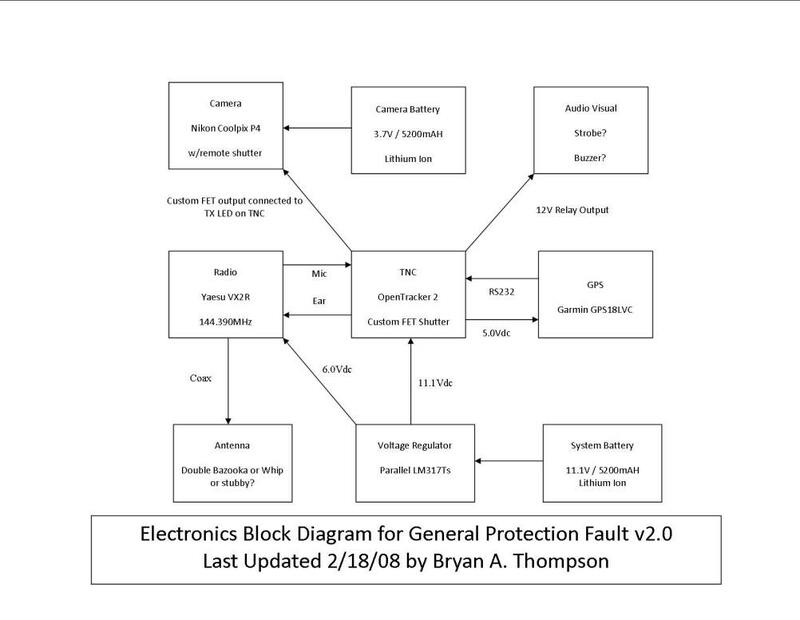 This seems to change by the minute, but right now it looks like we're going to have a few substitutions from the block diagram shown below. 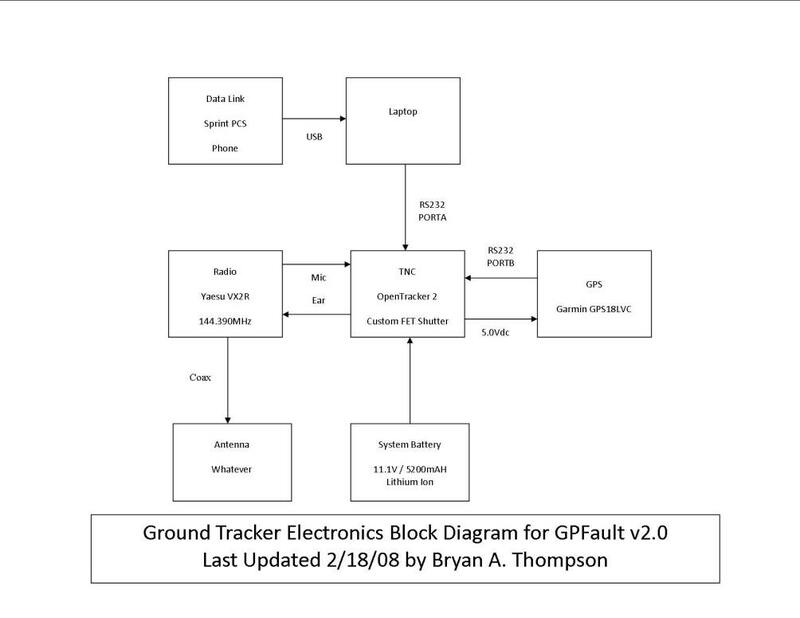 The GPS is going to be a USB eTrex model. The HT is probably going to be some sort of mobile radio. We've had a really hard time getting Tracker2's, so we hope to use a Kantronics KP 3+. If not, we'll try to decode packets via laptop sound card. If not, we'll use an iPhone to track it.